Kindness Makes a Difference Week! 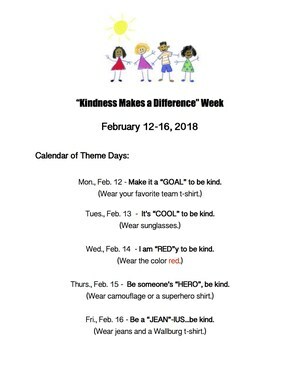 "Kindness Makes a Difference" Week at Wallburg Elementary is from Monday, February 12th - Friday, February 16th. Learn all about the exciting things happening at Wallburg during this special week! We cannot wait for Kindness Makes a Difference Week at Wallburg Elementary! 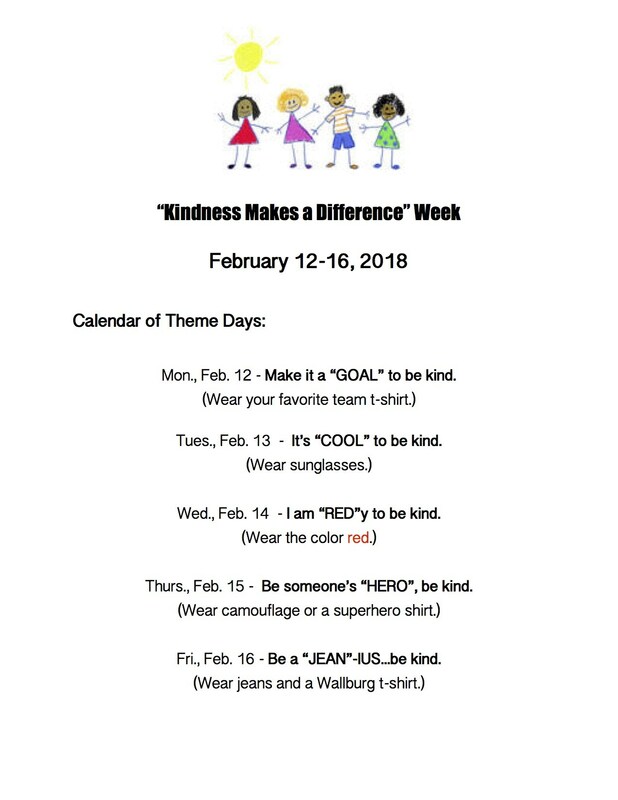 Kindness Makes a Difference Week will take place MONDAY, February 12th through FRIDAY, February 16th, 2018. Students will be taking home a letter detailing the events of the week. Here are some amazing things students, staff, and families can look forward to during this special week! Students have an optional opportunity to join the Wallburg Elementary Kind Kids Club. ALL Kind Kids Club members will have their names posted on a school-wide poster and their worksheets will be displayed for all students and staff to read. A graffiti board will be displayed in the cafeteria where students can write "100 Ways to Be Kind"
We are looking forward to celebrating how AWESOME it is to BE KIND during Kindness Makes a Difference Week!